A new plug-in hybrid line-up for BMW’s flagship 7-Series has been revealed, with performance, technology and luxury coupled to short-distance emissions-free capability. The plug-in hybrids go on sale this spring and combine the sportiness, comfort and feel-good ambience of BMW’s flagship luxury models with increased efficiency. There is a choice of two model variants: the BMW 745e and the BMW 745Le xDrive, the latter of which gets intelligent all-wheel drive. The plug-in hybrid system consists of a six-cylinder in-line petrol engine and an advanced high-voltage battery with an enlarged capacity compared to previous plug-in models. This gives a boost in power output and torque, as well as improved figures for electric range, fuel consumption and CO2 emissions. Power comes from a 3.0-litre BMW EfficientDynamics engine producing a peak power output of 286hp combined with an electric motor with a rated output of 113hp and torque of 265Nm, along with a new lithium-ion battery featuring the very latest battery cell technology and expanded storage capacity. In SPORT mode, the two power sources combine to give a total power output of 394hp and maximum torque of 600Nm, giving the 745e sports car-like acceleration. The hybrid system features intelligent energy management for precisely controlled interaction between the two power units, including a preview function that works with the car’s GPS to assign electric power most efficiently on a pre-planned route. In performance terms, the 745e accelerates from zero to 62mph in 5.2 seconds. The new 745Le xDrive, with its intelligent four-wheel-drive, cuts that time down to just 5.1 seconds, with all three models electronically limited to a top speed of 155mph. The new high-voltage lithium-ion battery for the plug-in hybrid 7 Series has an increased capacity of 12.0kWh, allowing electric power to be enjoyed beyond the city limits. In HYBRID mode, all models can travel at a speed of up to 68mph - 13mph faster than the predecessor models – in purely electric mode. The petrol engine doesn’t join in until the car reaches the higher speed, or the engine is under particularly heavy load. In ELECTRIC mode, the power of the electric motor alone is sufficient to reach a speed of 87mph. The 745e has a maximum electric range of between 34-36 miles depending on driving conditions, while the 745Le xDrive aims to achieve an electrically powered range of 32-34 miles. Fuel consumption and emissions have also been improved. For the 745e, combined consumption is between 141-123mpg on the NEDC cycle. CO2 emissions are from 48g/km.The corresponding figures for the new 745Le xDrive 118- 105mpg and from 52g/km. The electric motor is integrated into the eight-speed Steptronic transmission and acts as a generator during braking and coasting, feeding regenerative energy back into the battery. The lithium-ion battery also powers the car’s on-board network and can be used to run the auxiliary air conditioning system. To aid weight distribution and practicality, the battery is positioned underneath the rear seats, while the 46-litre fuel tank is located above the rear axle. This means that the luggage compartment volume of the plug-in hybrid models is only slightly restricted. Different drive modes can be selected using a control panel in the centre console, allowing the user to switch between SPORT and ADAPTIVE drive functions, as well as HYBRID, ELECTRIC and BATTERY CONTROL power modes. SPORT gives a particularly dynamic set-up, while ADAPTIVE is geared towards matching relevant driving styles and situations. In terms of power modes, HYBRID serves as the standard setting and balances interaction between the combustion engine and electric motor. By pressing the HYBRID button twice, efficiency is optimised by selecting HYBRID ECO PRO, which helps reduce fuel consumption and includes controlled coasting. Here, electrical boost is only available for kick-down manoeuvres. It is also possible to select ELECTRIC mode as the standard setting via the iDrive menu. This mode is for purely electrically powered driving, ideal for urban areas, while a distinctive sound created especially for electrified BMW models is used for acoustic pedestrian protection, emitted via a speaker system. In SPORT mode, the electric motor is not used on its own, but solely in support of the combustion engine. The BATTERY CONTROL setting serves to keep the charge state of the high-voltage battery at a level determined by the driver. When driving on a motorway for example, the power reserves can be saved or even increased to be used later for local emissions-free driving in town. The operating mode is displayed as part of a newly designed instrument panel, easily and clearly identified by means of a different colour. Electric driving continues to be easily recognisable by means of areas marked in blue in the speedometer as well as on the output display/power meter. This also clearly displays the add-on start limits for the combustion engine and the output and speed limits that apply to electrically powered driving. When charging the battery, the driver can see all the relevant information in the instrument panel, such as charge level and duration, charging current, currently available electrical range and the chosen conditioning level. This information can also be clearly seen outside the vehicle. From summer 2019, new digital services will be available to make charging the battery en-route even more convenient. When selecting a public charging station, the navigation system also provides the driver with a list of recommended nearby hotels, restaurants, cafés and tourist attractions. The driver is also provided with a charging station occupancy forecast. In addition, BMW Intelligent Personal Assistant makes life easier for the driver. Among other things, it includes the ability to select an interior experience as a combination of seat conditioning, seat massage, interior temperature, fragrance and shading based on specifically defined Experience Modes. The Personal Assistant can also search for parking spaces and charging options. 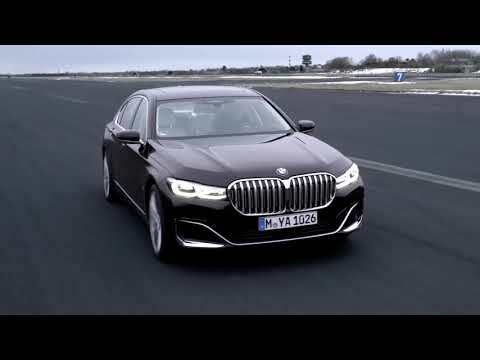 The BMW 7 Series 745e is on sale from Spring 2019 with prices starting from £76,815. To find out more, and experience the BMW 7 Series for yourself, you can book a test drive with one of our sales teams at any of our retail centres in Bolton, Liverpool, Manchester, Stockport or Rochdale. There is a BMW for everyone in the range. Explore the adventures BMW X3, the practical BMW 1 Series, the sporty BMW 4 Series or the incredibly stylish new BMW 8 Series, and take a look at our offers at Williams Group. Welcome to Williams Group. To optimise your experience, cookie settings on the website are set to allow all cookies. By continuing your journey throughout the website, you consent to this. You can change these settings here. © 2019 Williams Motor Co (Holdings) Ltd. All Rights Reserved. Williams Group is subscribed to Motor Codes of Practice.